When Robyn Plummer walks into Room 13B, Adam falls in love at first sight. That may sound like a typical boy-meets-girl story, but, thankfully, this book is anything but cliché. 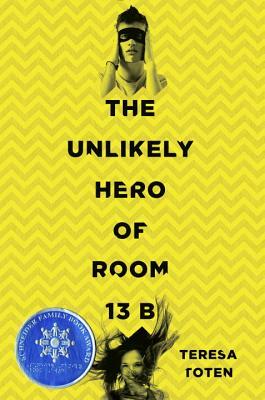 The Unlikely Hero of Room 13B by Teresa Toten is refreshingly honest, anchored by a memorable main character. Oscar, Lorenzo, Cristian, and Luis didn’t have much in common, other than being born in Mexico and entering the US illegally as children. 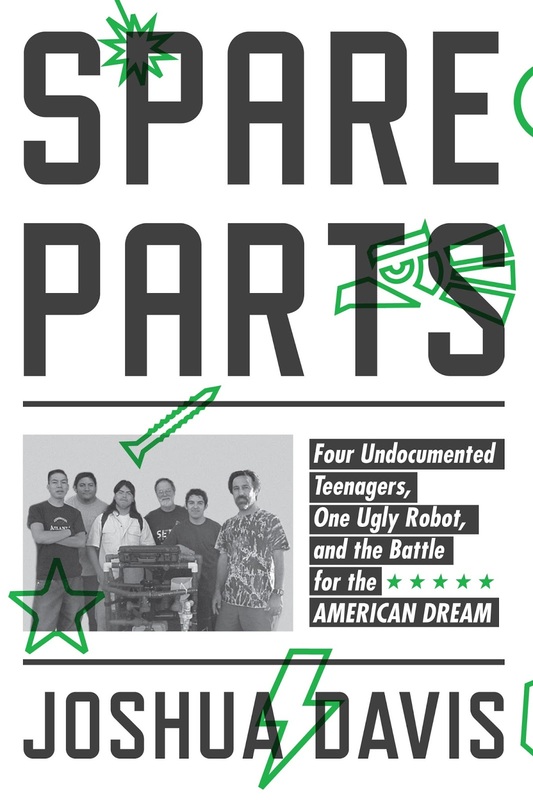 Each had his own reasons for joining the robotics team at their high school, located in a poor area of Phoenix, AZ. Cristian was the only one actually interested in robotics. But together, the four students built a robot they called Stinky. At a national underwater robotics competition, sponsored by NASA and the US Navy, their team defeated teams representing colleges and universities, winning first place in spite of their inexperience, their extremely limited budget, and all the obstacles associated with poverty and low expectations. In 2005, Wired magazine published an article about their victory. But there’s more to this story than a single competition. 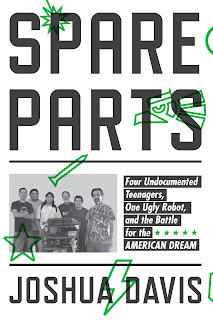 In Spare Parts: Four Undocumented Teenagers, One Ugly Robot, and the Battle for the American Dream, Joshua Davis expands on his original article, introducing readers to four teens, two teachers, their paths to the robotics team, and the difficulties they have already overcome, as well as those they still face today. Alix Banks lives the good life, she's rich, smart, athletic and attractive. She attends a private prep school where she gets good grades and is a member of the track team. Her parents trust her completely to be where she is supposed to be, to do what she is supposed to do and believe what she is supposed to believe. That is until there is an attack on her school. Alix is cornered by Moses, the leader of the attacking group, who tells her that the whole event is for her. To get her thinking about what exactly it is that her dad does for a living - what Simon Banks and his public relations firm Banks Strategy Partners really do. "When you absolutely, positively have to confuse the hell out of an issue, call Banks Strategy Partners." 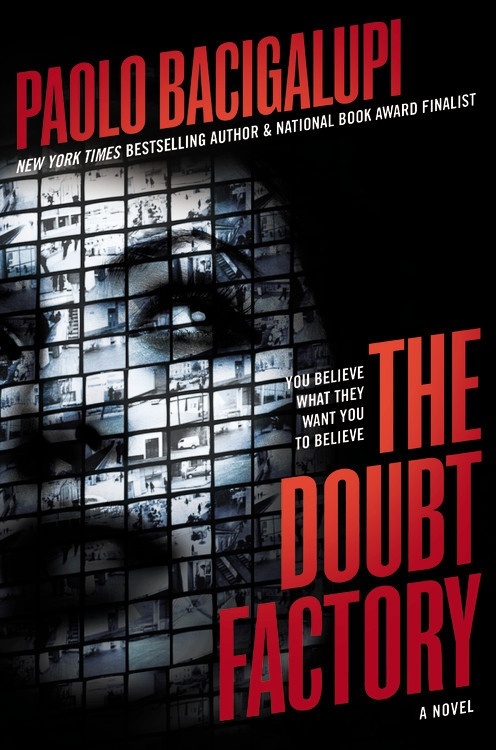 aka The Doubt Factory. Alix starts to question everything. Who should she believe? What is the truth? Does truth exist? Rakmen Cannon's family has suffered a terrible loss: the death of his baby sister. His parents are struggling to stay together as he and his mother attend counseling at a neighborhood center. His mother sits with all the other mothers who have lost a child and Rakmen hangs out in the basement with the other siblings who are supposed to be learning how to cope through some rather lame art therapy. They are good kids and they understand each other better than anyone else can. And then 10-year old Jacey shows up and doesn't know the rules about what you should and should not ask; she's a pushy kid and she pushes Rakmen hard. Whether or not that is a good thing is part of what the reader has to find out. By then end, Rakmen gets his act together and finds a way to live with his loss which is important. 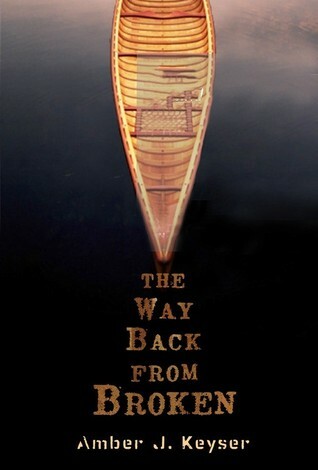 What makes The Way Back From Broken better than most great loss title for teen however is that the getting better is a messy process. Keyser shows how painful it is to lose someone for all of her characters, how they each handle it different ways and that there is no right or wrong way - it's a process that must be navigated on your own. There is nothing romantic or noble about these losses; it's just some tragic death and some grieving people who want to find out how to get past being sad. That might sound like a downer of a book but it's not, it's just realistic. "Hope is like a road in the country: there was never a road, but when many people walk on it, the road comes into existence" reads the quote (from a translation of The Epigrams of Lusin by Lin Yutang), that opens The Way Back From Broken. We could all use a few more books about hope, I think and Keyser gives that to readers here, in all its awkward, complicated beauty. Happy Endings Are All Alike might seem like an odd choice for Guys Lit Wire, where we aim to recommend books for primarily teenage boys, but this is a really interesting historical novel that provides a unique peek at life for GBLTQ teens in the 1970s. Any teen interested in life for this minority group in the recent past is going to be fascinated by this novel and likely also horrified by the events that take place in the course of the story. The plot is fairly straightforward: high school seniors Jaret and Peggy have fallen in love and are looking forward to spending the summer together before they each go away to different colleges. In small town Gardener's Point, 100 mile north of NYC, their relationship is new and not celebrated by everyone. The girls are lowkey and largely preoccupied with coming out to their families, each of which has its own domestic concerns. She could have killed them. They were disgusting. So smug, self-satisfied. So sure of themselves all the time. And what were they anyway? Queers. Dykes. Perverts. She'd learned in her psychology classes they were sexually immature, retarded. It was sick. And it made her want to vomit. Yeah, nothing good going to come from that sibling relationship. It's clear to me that what you've done is to make Jaret a surrogate mother. It's a dependency problem at the root. Still, it's revolting." Claire chewed her lip. You can't stand it that two people might just love each other, can you?" Claire flinched. "Lesbianism is immature, Peggy." Mr. Tyler, sir," said the chief, full of condescension, "I have experience in these matters. A boy, a girl, a little kissing, maybe some petting, naturally a boy gets excited and then the girl says no. The poor boy goes crazy with frustration and—"
The whole story is eyebrow raising on multiple fronts and although the narrative can be a bit confusing when the different points-of-view are first introduced, soon enough readers will find themselves unable to look away as the would-be attacker becomes bolder and bolder. I wish Happy Endings Are All Alike could be dismissed as sheer fantasy but as any student of social history knows, there is a lot of truth to this novel. Read it to know what life was like not too long ago for far too many teens, and then be eternally grateful that you are coming-of-age today when someone like Claire, and the attacker, are more clearly the deviant and monster. 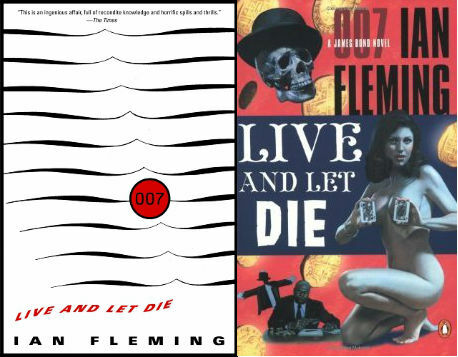 Live and Let Die by Ian Fleming is the second novel in the series featuring British Secret Ser­vice agent James Bond 007. I re-read this book (here is my original review) and found it to be just as exciting as the first time. After almost being assassinated by S.M.E.R.S.H Bond wants revenge and M has the assignment for him. Gold coins are appearing in America, maybe from the pirate Bloody Morgan’s treasure; the government thinks Soviet agents are using them to further their nefarious cause. Mr. Big, a notorious crime lord, uses voodoo as part of an elaborate plan to control his crime cartel. Mr. Big also works for S.M.E.R.S.H which gets Bond’s attention. When one reads Live and Let Die, one must keep in his or hers mind the time it was written in. In today’s society this novel might be considered racist, but one can see how Fleming goes out of his way, most of the time, to compliment African-Americans and point out, through narrative, that they are in no way inferior to the white humans. I believe that if the novel was updated to today’s sensitivities, very little would have to be changed (a few words here and there which are no longer acceptable). The novel, however, does give a picture of the race relations within the United States after World War II. As is in every series, we learn more about the protagonist (Bond) but reading the previous book, Casino Royale, is not necessary to enjoy this one. I thought the star of the book was Solitaire who was heroic and charming. There are several great moments from the “Bond lore” in this book, Felix Leiter saving himself by talking jazz and getting eaten by a shark afterwards, to name a few. This short book, is fast paced, enjoyable, easy to read and showcases Fleming’s famous dark humor despite the dialogue. The narrative is entertaining and action packed but more or less pointless – however, Mr. Big’s character is fantastic, a strong African-American crime lord who steals the book. I've come to The Stand late in the game. The original was written before I was born, this copy, the 1,200 page behemoth I just put down, is the version King intended to put out, uncut and without alterations. I know what you're saying: "1,200 pages?! You're mad!" At least, that's what I assume you're saying. But don't worry, as they say in The Stand: "Even the company of the mad is better than the company of the dead." I'll start where King does, with Captain Trips. Captain Trips is the nickname given to the flu. This isn't your chicken noodle soup, stay home from work kind of flu. No, this is the turns your insides to jelly and wipes out 99.4% of the world's population kind. The detail that King devotes to Captain Trips' decimation of everyday peoples' lives is one of the most horrifying things I've ever read, and it's easy to figure out why: We've all had the flu, it's one of life's guarantees, like stubbing your toe or being disappointed by the 2nd season of True Detective. 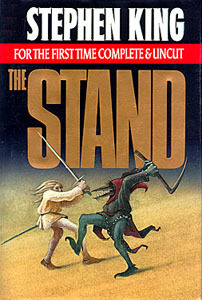 Let me tell you something, after reading the first chapters of The Stand, you'll be squeezing Purell over your Apple Jacks. Labels: dystopian , Everyone's Got Issues , Keeping You On the Edge of Your Seat , Science Fiction , Survival , War - What Is It Good For? The National Book Awards for Young People's Literature has announced its long list of candidates for this year. Next month, the panel will announce its short list, and in November, the winner will be announced from among the following candidates. We here at Guys Lit Wire are pretty chuffed at having already reviewed four of the ten candidates - you can find links to our reviews below, but do check out all the books on the list. Ancient Rome was an incredible place; but not if you were a slave as is the case with Nic. He works in mines ceaselessly and has never even taken a bath, Luck is when preparation meets opportunity though and when Nic is ordered by his cruel boss Sal to go into an underground chamber, his life changes suddenly and completely. In an underground cavern he meets two things that are going to forever be a part of his life- a griffin which he names Caela and a bulla that belonged to Julius Caesar. Featuring 1) the most eventful prom since Carrie, with less blood and more choreographed dancing to Bone Thugs-N-Harmony; 2) the use of “STD” as a verb (as in “Maybe Taryn did STD you”); 3) the most anxiety-fraught eulogy since Julius Caesar, delivered by the subject of the eulogy himself; and 4) hilariously inappropriate best friend boy banter, Denton Little’s Death Date by Lance Rubin is not the book I expected to be. We're going to Mars. We'll be there within 20 years. The technology is there and NASA is training for it. The question is, once we're there, how will we survivie? This isn't merely a question of figuring out how astronauts can maximize their stay for research purposes but how we will expand our human footprint beyond the Earth once we've exhausted the resources of this planet. Or in the event of a galactic calamity. Unlike the last great space race this isn't about Cold War enemies flexing their muscle, there are plenty of private citizens with more funds than NASA funding research and development to get us there. Elon Musk, Jeff Bezos, Paul Allen, and Richard Branson all have their multi-billion dollar fingers in this pie, and the technology is there. Tereforming a new planet is possible right now, the technology is already available, we just have to get there. 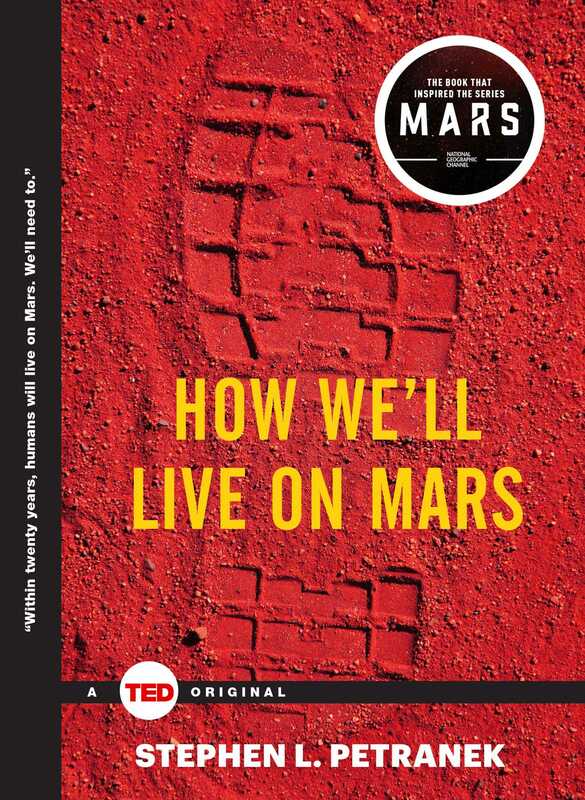 In under 100 pages How We'll Live on Mars lays how we'll probably get there, what we'll face in terms of establishing an initial base, and how efforts are already underway to colonize Mars within 50 years. And the numbers are staggering: Elon Musk is talking about getting 10's of thousands of people there by the mid-century mark. What seems crazy at first Petranek makes feel very real in a clear and factual tone. 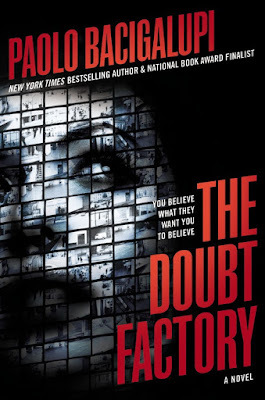 A solid, quick read that at the end will leave you believing the inevitable. 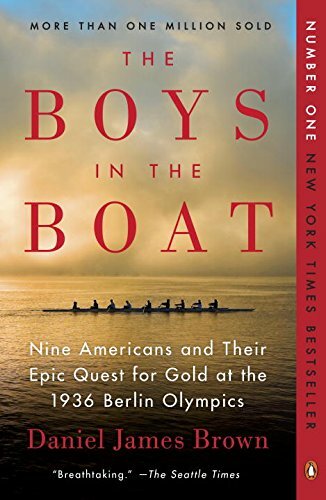 THE BOYS IN THE BOAT: Nine Americans and Their Epic Quest for Gold at the 1936 Berlin Olympics sets its sights high on the cover with what in many cases would be an overblown phrase: "Epic Quest". It begins small, with the author's meeting with a dying Joe Rantz in the prologue, followed by other small introductions, to the rowing program at the University of Washington in Seattle, the Seattle sports reporter who wanted his city to take a higher place in public opinion, the men who worked for the program, the boys seeking a place on the freshman rowing team in the fall of 1933, and the goings-on in Germany, where Hitler was secretly building weapons and overtly building an enormous new stadium for the 1936 Olympics. Labels: From Book to Movie , Get Your Game On , History Matters , See the World , War - What Is It Good For? *WARNING! If the very thought of crawling in tight spaces has you hyperventilating or induces nightmares, then read BENEATH by Roland Smith with caution. Really! Seriously! Pat and Coop O'Toole have lived adventurous lives. Having parents who are both scientists wrapped up in their careers, left the two brothers with time to play and experiment freely. One of Coop's ideas ended with a hand-dug mile long tunnel through their neighborhood. An explosion in the tunnel resulted in the involvement of the FBI and left poor Pat with a severe case of claustrophobia.